Today you will meet at Santiago airport for your departure flight to Puerto Montt. There are several options from which to choose, with both morning and afternoon flights available. 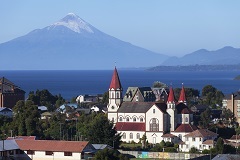 On arrival, our representative will meet you and transfer you to your hotel in Puerto Varas. 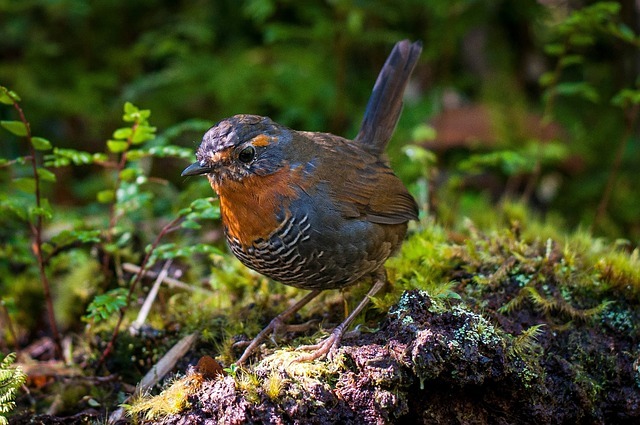 Today we will visit Senda Nativa Romahue, a protected area of forest located just 14km from Puerto Varas. We will start our excursion with a hike through the Valdivian rainforest, where we will learn more about the unique ecosystem of this region. Here in the midst of this beautiful environment we will witness trees of over 750 years of age and even possibly spot some native wildlife, such as the curious Chucao bird. We will continue our exploration with a boat ride along the Maullin River, followed by a delicious lunch from the centre’s organic garden. Afterwards,we will visit the conservation area for animals where will have the opportunity to interact with the sanctuaries fauna including Tricahue parrots, Pudus (the smallest deer in the world) and even pumas. This excursion offers the perfect setting to interact with nature while contributing to its protection. At the scheduled time, you will be transferred to Puerto Montt airport for your return flight to Santiago. Later we take a walking tour through the Mercado Central, Chile’s largest fresh seafood market where you can try some of the local cuisine on offer. On completion of the tour you’ll be returned back to your hotel and have free time to further explore the city at your leisure. After breakfast, you will depart Santiago by first class coach and head over to the coast and explore one of the most fascinating cities in Chile; Valparaiso. ‘Valpo’, as it is fondly known by locals, was declared a world heritage site by UNESCO, and it is not difficult to see why. Picturesque architecture and multi-coloured urban housing spread out over more than forty hills, creating one of world’s most eclectic, unique cities. You will visit the downtown area with its new government house, the Plaza Sotomayor, the Plaza Victoria, the cathedral and the harbour area. 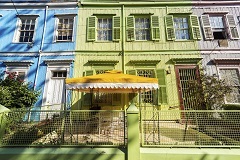 Afterwards, take a funicular up into the hills where there is a fantastic collection of brightly painted houses and a fantastic view over the city. Enjoy coffee in one of the many cosy restaurants before taking a stroll through the labyrinth of colourful streets lined with impressive street-art. Enjoy time for lunch at leisure before we head north to the Elqui valley to spend your next three nights. The drive will take approximately five hours and upon arrival at Elqui Domos you will enjoy a welcome cocktail and in the evening dinner is included. At Elqui Domos, you find yourself in a magical place, ideal for rest, introspection and observation, where you can experience a different, more personalised form of relaxation. Your stay includes a talk on basic astronomy, which is supported by specialized software, and guided observation from our observatory using a state-of-the-art electronic telescope. Today you will further explore the Elqui Valley and visit its picturesque villages such as Montegrande, Vicuña, Pisco Elqui which dot the valley’s cultivated slopes. This is also the heart of pisco grape growing country and a visit just wouldn’t be complete without a distillery visit and tasting. Discover how Chile's national drink is made and enjoy a tasting followed by lunch in a typically Chilean restaurant. In the morning, you will be at your leisure with lunch included at your hotel. 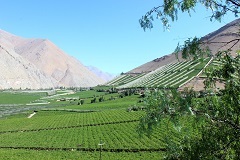 After lunch you will be transferred to the Elqui Valley. 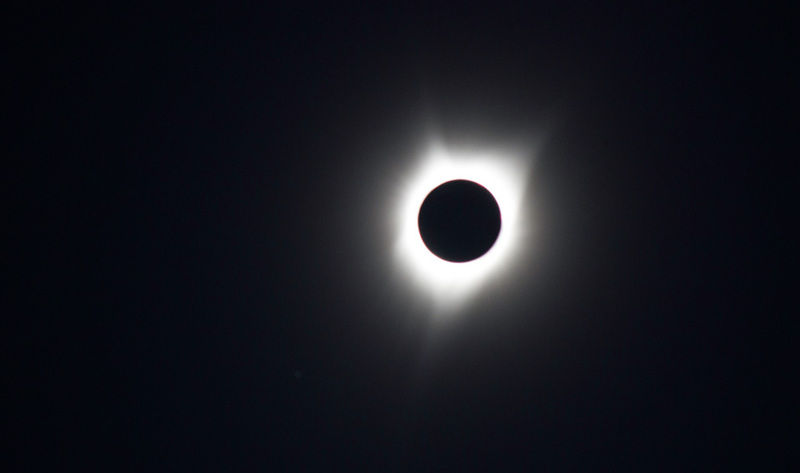 Weather permitting, you will see the first glimpse of the Solar Eclipse. A picnic will be set up with local food and drinks while you discuss interesting topics with your guide. After the Solar Eclipse, if the sky is clear, you can enjoy some stargazing before returning back to your hotel where you will enjoy dinner. 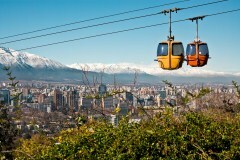 After breakfast, you will be transferred to Santiago Airport where your tour ends. or alternatively, arrangements can be made with us should you wish to extend your trip in South America!